Every Month there are two meeting dates, the first Tuesday of the Month and the Fourth Saturday of the Month. There is no start date or ending date, join anytime. Don't have any scraps? Don't worry, there are plenty of pre-cuts at the store or you can also make cuts from your favorite bolts of fabric. Don't know how to follow a quilt pattern? Don't worry, this is the perfect class for beginners. Our instructor, Tara Gravitt, teaches you how to cut and organize your scraps. 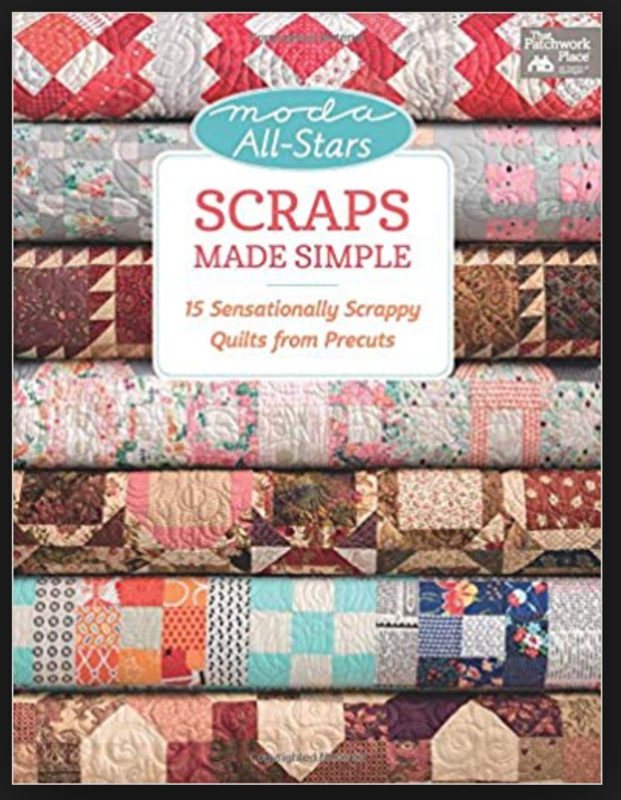 You will then begin working on projects from the patterns in the book "Scraps Made Simple" by Moda Allstars. You will need to purchase the book, we have them at the shop, but the investment is worth it, we will make several patterns from this book. Requirements: Bring your sewing machine & a rotary cutter. Students must purchase the book, Adventures with Leaders and Enders.